An incriminating report by the New York Times claims Donald Trump Jr already knew about the Russian Government's efforts to help his father's campaign. New York: Donald Trump Jr was told in an email before meeting a Russian lawyer who he thought had material damaging to Hillary Clinton that it was part of a Russian government bid to aid his father's presidential campaign, the New York Times said on Monday. Citing three people with knowledge of the email, the paper said publicist Rob Goldstone indicated in the message to US President Donald Trump's eldest son that the Russian government was the source of the potentially damaging information. The email is likely to be of interest to investigators examining whether any Trump associates colluded with the Russian government to sway last year's election, the Times said. Trump Jr hired a lawyer on Monday to represent him in the Russia-related investigations as prominent Republicans voiced concern about the meeting between the president's son and a Russian. Trump Jr hired New York lawyer Alan Futerfas, who specializes in criminal defense and whose clients have included alleged organized crime figures, a Russian computer hacker and white-collar criminals. "I look forward to assisting Donald Jr and, quite frankly, there is nothing to all of the media buzz about the June 9th, 2016 meeting," Futerfas told Reuters. "That will be proven to be the case." Futerfas would not say when he was retained or whether he played any part in the statements Trump Jr made during the weekend about his June 2016 meeting at Trump Tower in New York with a Russian lawyer, Natalia Veselnitskaya, during the presidential election campaign. Trump Jr said he agreed to meet Veselnitskaya, described by the New York Times as having links to the Kremlin, after being promised damaging information about Democratic presidential candidate Hillary Clinton. A Republican member of the US Senate Intelligence Committee, Susan Collins, called on Trump Jr to testify before the panel, which is looking into accusations of Russian meddling in the election. "Our intelligence committee needs to interview him and others who attended the meeting," she told reporters at the US Capitol. Senator Mark Warner, the top Democrat on the intelligence panel, said it "absolutely" wanted to speak to Trump Jr about the meeting. Warner said he and the Republican committee chairman, Richard Burr, would decide later whether to ask Trump Jr to testify in public or in a classified setting. Burr would not say if the committee would talk to Trump Jr, but he told reporters the panel would look into the purpose of the meeting, who set it up and how the process unfolded before making a decision on who to interview. "The committee will see everybody we think has value," Burr said. White House spokeswoman Sarah Sanders said there was nothing inappropriate about the meeting with lawyer Veselnitskaya. "Don Junior took a very short meeting from which there was absolutely no follow-up," Sanders told reporters. Goldstone said he arranged the meeting at the request of singer and businessman Emin Agalarov, a Moscow-based client of his. 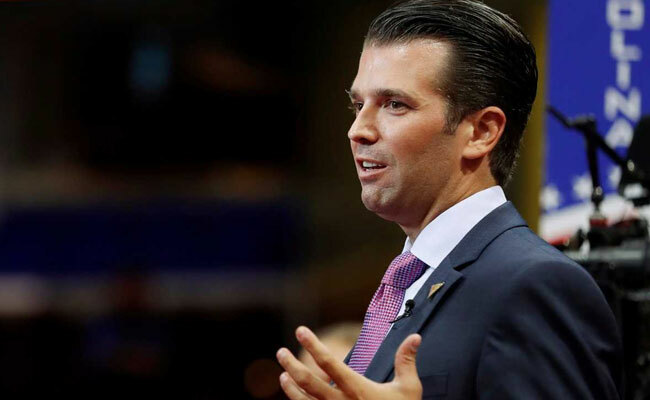 He told Trump Jr the meeting was with a Russian lawyer who apparently claimed to have information regarding illegal campaign contributions to the Democratic National Committee.